Sasha Titchkosky’s first job was working at a shop that sold all things related to Manchester. In fact, she had to take over the entire store when the owner went on vacation shortly after she started. He called her after the first day of his vacation to see how sales went. He was shocked to find out that sixteen-year-old Sasha had sold more merchandise in one day than he’d sold the entire previous week. From this early experience, Sasha learned the importance of talking to and engaging with customers. In her formal career after university, Sasha worked at a few large corporations but then became jaded. She felt uninspired, navigating her work life without mentors or passion. Her husband was in the same boat, eager to make a change. Sasha surveyed the Australian furniture market and identified a gap for midmarket products that were designed and produced in Australia. 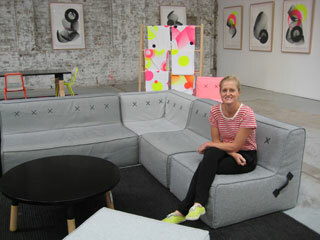 So in 2000, with her husband, Russell, they founded Koskela. In the corporate world, Sasha had witnessed a tremendous waste of office furnishings. Companies that would do a fit-out would just cycle through another remodel in five years, whether or not the furniture was outdated or undamaged. Hence Sasha makes a point at Koskela to focus on creating high-quality, enduring pieces that can be reused as much as possible (for example, re-upholstered). They have a take-back policy at the end of a piece’s cycle, so they may strip a returned piece to its components and refurbish it for reuse. Furthermore, Koskela collaborates with artisans and manufacturers in Australia and is viewed by clients as having a high level of ethics along with a passion for creating well-designed pieces. These mutually beneficial partnerships open up new markets for the parties involved and help keep the whole process local. 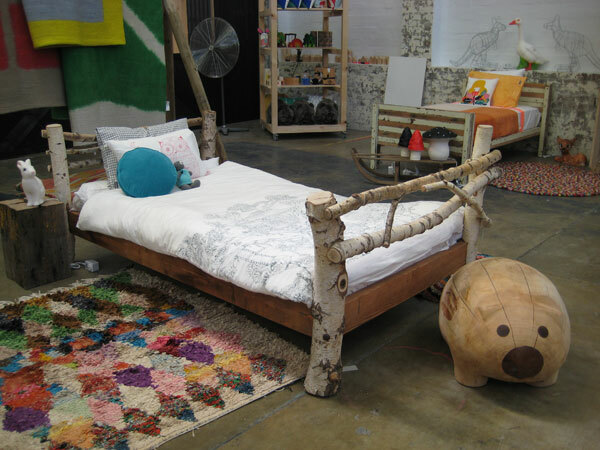 Today, Koskela employs eight full-time and six part-time staff. The organization pursues a culture of social ambition and conscience. Their motto is, “Follow your heart, trust your judgment, and do it with joy.” The company’s culture resonates so well with people that when they are looking for new staff members, they post their vacancies only on the Koskela blog and Facebook page. Sasha was shocked by the flood of applicants who applied with emotive phrases like, “I love your products. I would love to work in your store.” Sasha thinks that their brand and beautiful products are strong draws for potential employees. After eleven years, Koskela recently moved into a stunning new retail space, complete with artist space and a fabulously chic cafe. Given the organization’s growth and expansion into a much larger space, Sasha shared the following experiences for other entrepreneurs to learn from. Most other competitors in her market are just reselling an imported brand. There are very few competing firms that design and produce their own products. This commitment is something that they promote and honor, which attracts clients and employees to Koskela. After years of growth and planning for their new showroom, Sasha realized that the processes and culture they’d had when they were smaller needed to be evaluated and updated. For example, today there’s too much criticism that lacks a constructive angle—some employees voice the negative side without providing any solutions. Sasha realizes that she needs to engage these people and assess how to get her culture back on the right track, since the company has grown and changed. The challenge is finding the time. Sasha sees large companies investing in their office environment all the time. However, she thinks that smaller companies don’t realize how critical an office environment can be to morale and company image. The kicker: they don’t have to spend huge amounts of money to improve their office environment. I admit it—I’m cheap, especially when it comes to office aesthetics. But I have converted to investing in an engaging workplace. I want to create a workplace where I feel excited to spend long hours and that I’m proud to showcase to candidates, clients, and my parents quite frankly. Like our careercation, it doesn’t have to cost an arm and a leg. Lifehacker.com and other sites detail how Ikea can be cheap chic. And it’s pretty fun trying to design an office on a shoestring because we all have to get creative. While enjoying a bite from the yummy cafe during our interview, Sasha remarked that she really admires how well-run and efficient the cafe’s operations are. Everyone has a well-defined role within a structured hierarchy and executes their tasks professionally. Given the recent massive expansion in showroom space and the hiring proliferation, it’ll be interesting to follow how well-oiled Koskela’s operations become, too. Being at the new Koskela space was a great experience for me. If the office space and environment truly do mirror and affect the culture, then I think that Sasha has a big head start on improving her business.